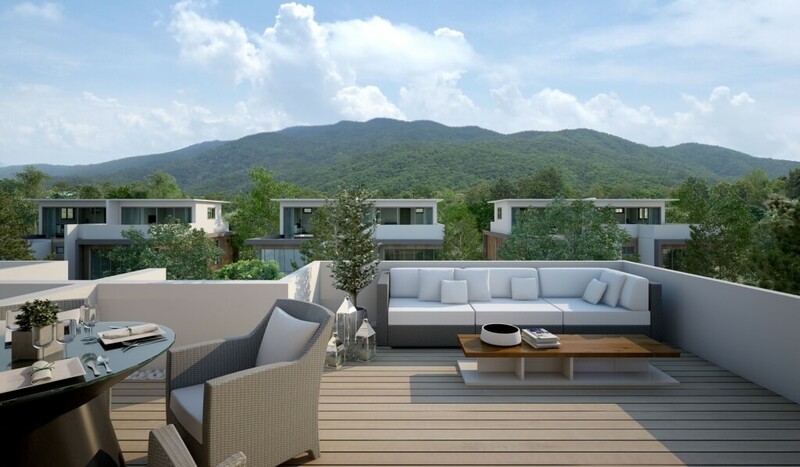 The recently launched Sky Villas development in the south of Chiang Mai provides buyers with the opportunity to benefit from the most affordable prices for what will become one of the most prestigious single housing developments in the city. 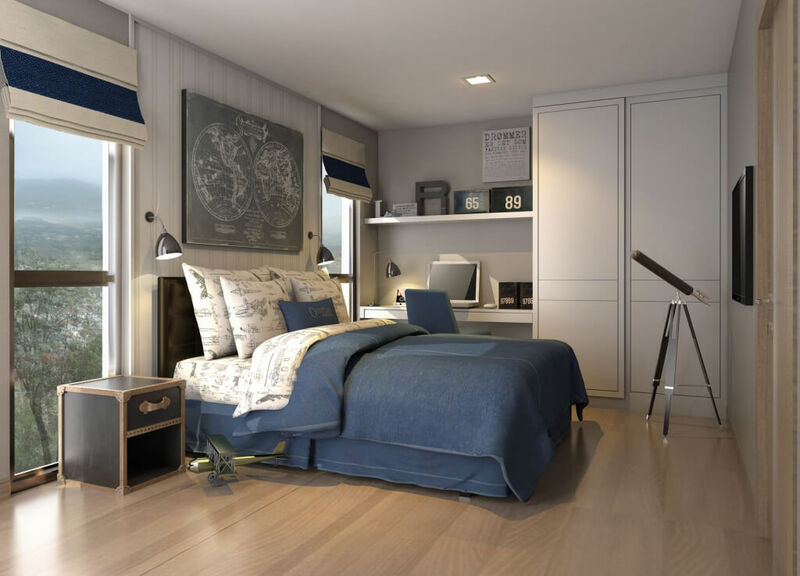 Sky Villas is just the first phase in a large new, upmarket housing development covering a massive area of 26.45-rai which will be released over the rest of the decade. The current phase consists of just 47 units, in order to ensure that the development remains exclusive. There are two types of villas available for purchase on this resort. 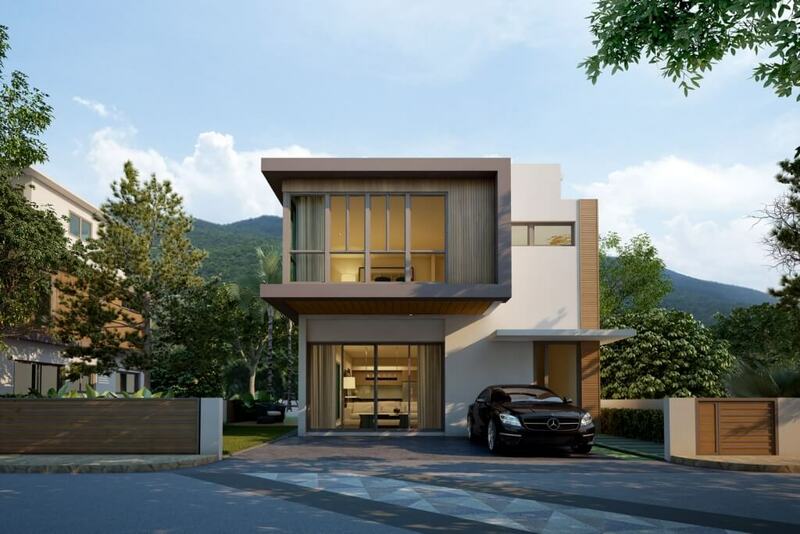 Twenty of the units are three-bedroom/three-bathroom semi-detached twin houses with an internal area of 160m2, while the remaining 27 units are four-bedroom/four-bathroom individual villas containing 280m2 internally. 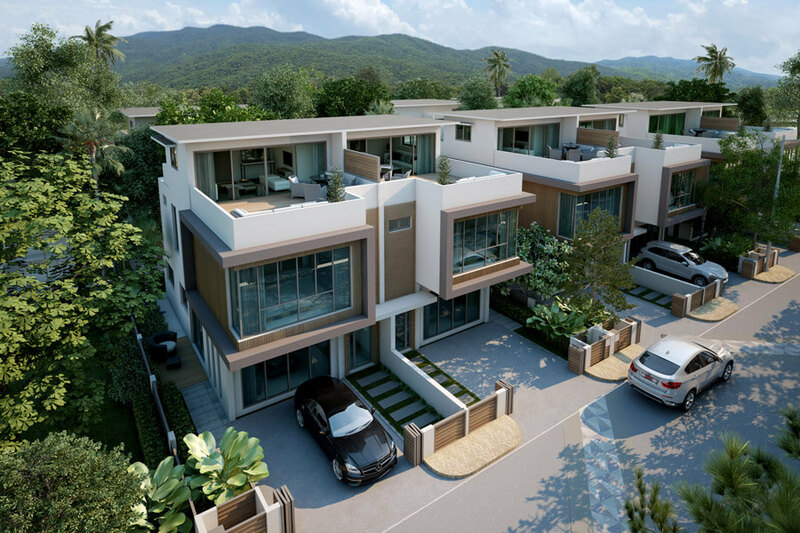 All of the villas at Sky Villas are built on three-storeys. In each case, the villas benefit from large ‘sky gardens’ on the top floor, each offering stunning views of the mountains around the city. 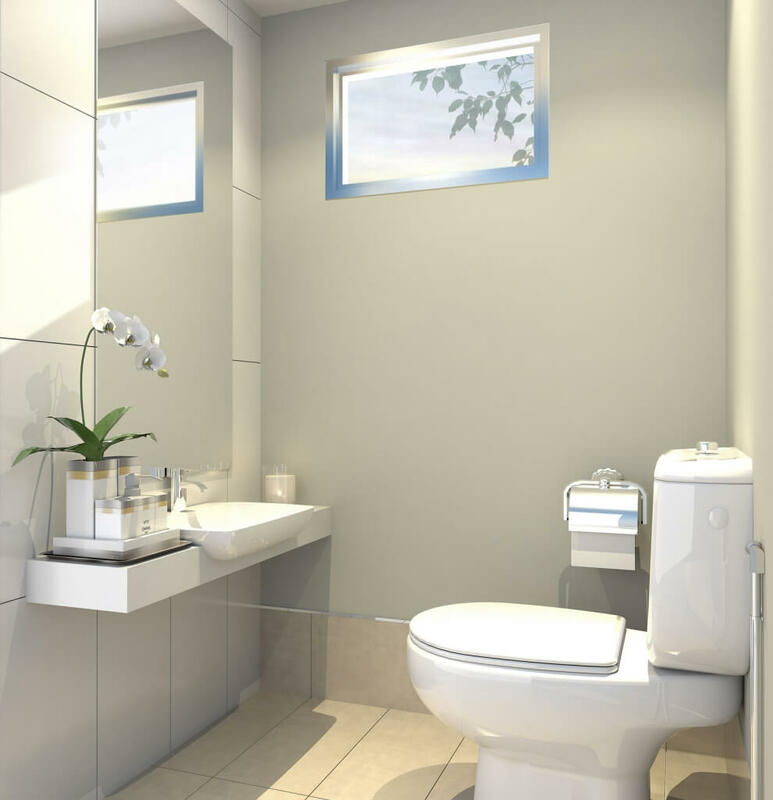 The first phase of the project will provide some excellent communal facilities for the owners of the 47 units in Phase One. 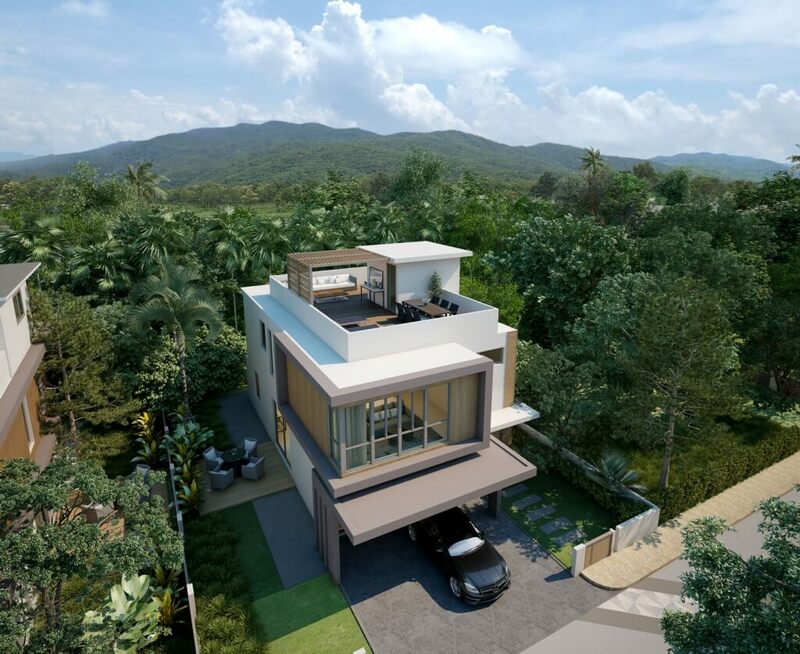 These will include a Clubhouse which is designed in the same modern, futuristic design as each of the villas, which contains the projects fully-equipped fitness centre and is located next to the on-site children’s playground. 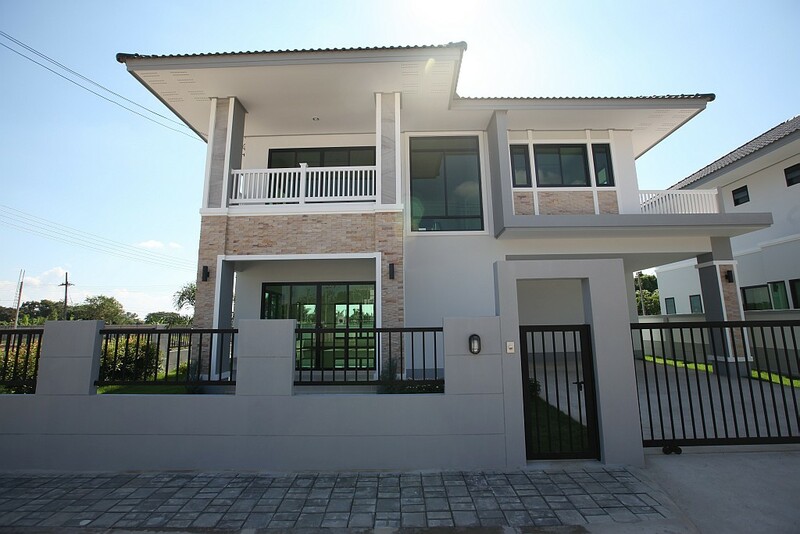 Sky Villas is located in a totally secure gated community where owners can relax in the knowledge that they are being protected by security guards working 24 hours per day, aided by CCTV cameras. 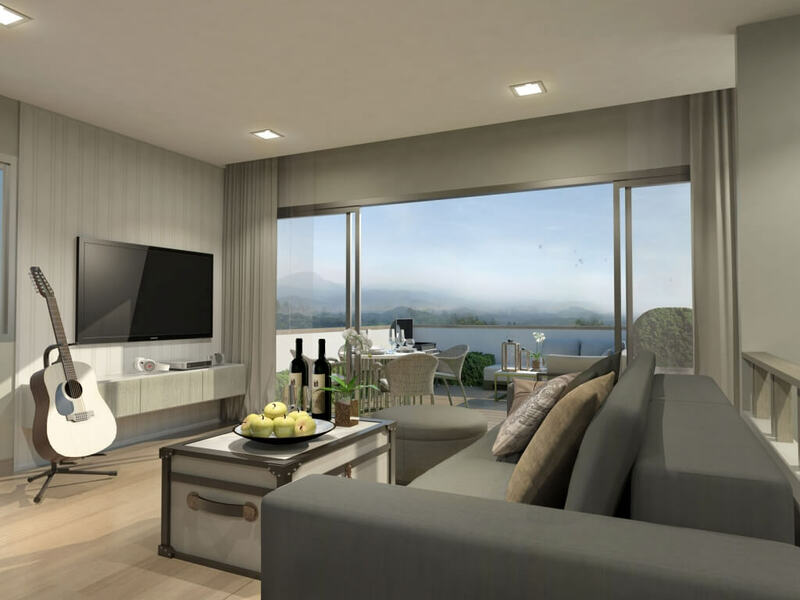 Additional phases of the project will add yet more facilities for the use of residents, including an international kindergarten and play school, plus health spas in order to create one of Chiang Mai’s most desirable living locations. 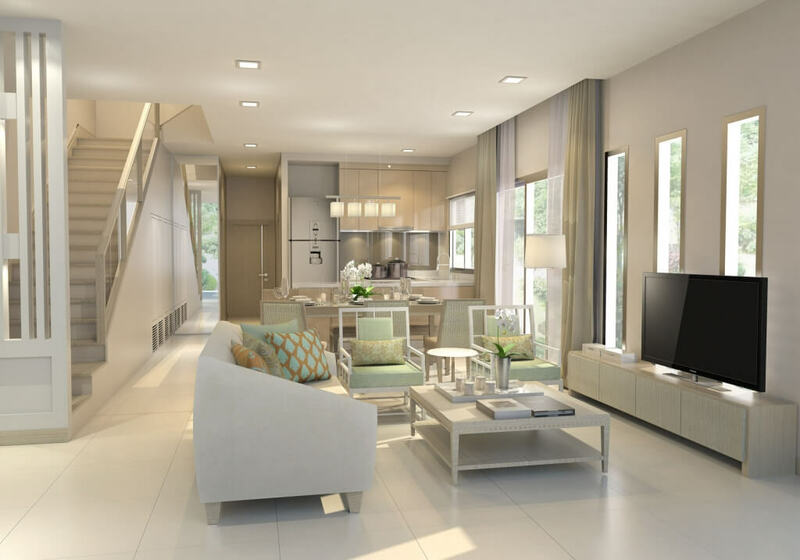 As for location, Sky Villas is located in the south of the city almost adjacent to the Far Eastern University. 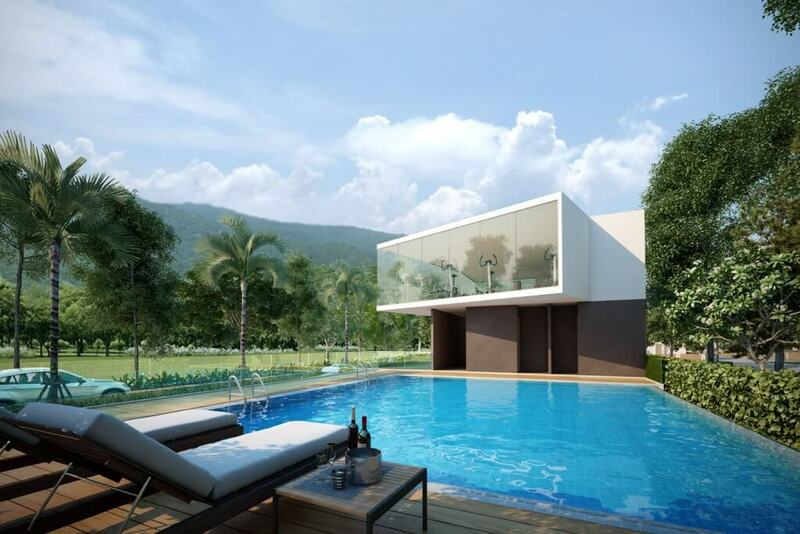 The project is also located very close to Chiang Mai International Airport, making it a perfect home for any frequent traveller to the city. 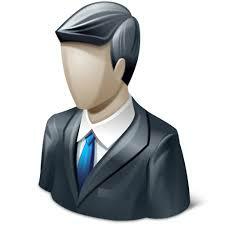 There are many international schools in the area and many shopping opportunities as well. Easy transport links also allow for swift access to the city centre as well.